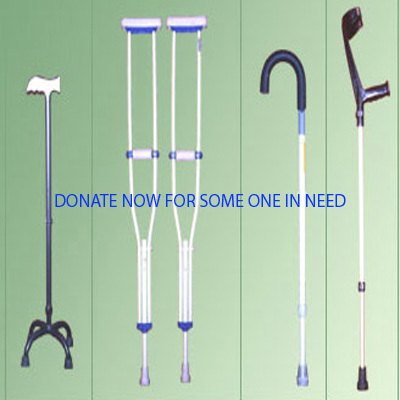 Donate Handicap Goods - There are lots of individual(s), communities and even countries in the world who could not afford to face the difficulties in case there is a handicap, trauma or disability or related problems. Just because they are poor, they could'nt be left to suffer endlessly. Your charity minimum or maximum will help out a number of people to stand on their feets & can live with self respect without depending upon others. Products offered � Shoulder Crutches , Elbow Crutch , Wheel Chair etc etc.